National Smile Month is a campaign by the Oral Health Foundation, which will be running from the 15th of May to the 15th of June. It’s the largest and longest running campaign of its kind in the UK and aims to promote good oral health. This year will be its fourth decade of operation. Though these objectives may seem rather basic, some of the statistics and figures show just why the message needs to be driven home. The campaign also states that despite the people in the UK being the second most likely to visit their dentist (at 72%, just behind the Netherlands), a quarter of UK adults admit to not visiting the dentist in two years and a quarter only visit their dentist when a problem arises. This prevents their dentist from advising preventative measures, which could save them from causing lasting and even serious damage to their teeth. According to the oral health foundation, a quarter of adults admit to not brushing twice a day, one in three people have never flossed their teeth and the UK spends a staggering £5.8 billion a year on dental treatments. Smiles and teeth are rated the second most attractive feature by both men and women, behind personality, while only around 10% of men and women have oral health which can be considered “excellent” and half of the population are unhappy with their teeth, stating cosmetic reasons such as discolouration as one of the main reasons for dissatisfaction. Some of the most worrying statistics found through the Oral Health Foundation’s research were regarding children’s teeth. 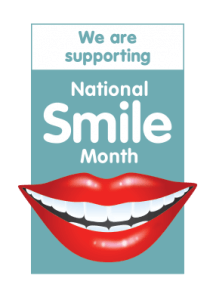 Since the National Smile Month campaign started in the 70’s oral health conditions in this country have generally improved. However, several statistics concerning children have shown a different trend. This is largely due to changes in the diets of children over the past 40 years. Around 40% of children do not visit the dentist each year and to make matters worse, 15% of all daily calories consumed by four to ten year olds are from sugar. Young people in England also drink more sugary soft drinks than anywhere else on the continent. Habits like these can be contributing factors to much larger oral health issues later in life, but oral health related issues can cause other, more direct issues as some of the stats show. From 2010 to 2015, there was almost a 20% increase in children being admitted to hospital with tooth decay related issues and tooth extractions are the biggest causes of children being admitted to hospital for general anaesthetic. With there being a cost implication to an already stretched NHS, it’s important that we all do our bit to keep on top of our oral hygiene and reduce these admissions. On another serious note oral cancer is one of the most serious health risks that can be detected by your dentist. It’s often caused by tobacco and alcohol consumption and it is the 10th most common cancer in men and the 11th most common for women. Therefore regular dental check-ups are vital to detect the signs of serious health issues. So it’s quite easy to see while the objectives of National Smile Month are quite simple, that they are actually very important issues which cost billions each year in the UK and cause great damage to both the general and oral health of adults and children, which no doubt will be adding greater costs and pressures on the NHS. Of course, good oral health is conductive to wisdom tooth health. If you are regularly visiting your dentist, any issues with your oral health will be able to be identified quickly and an effective treatment will be able to be given. Identifying the signs of eruption early can be useful in terms of suggesting the right course of action. 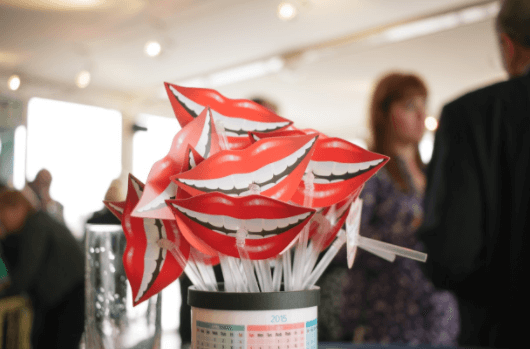 So far National Smile Month has been highly effective in improving dental health initiatives in both the UK and the United states, but as the figures show, there are still many improvements which need to be made.